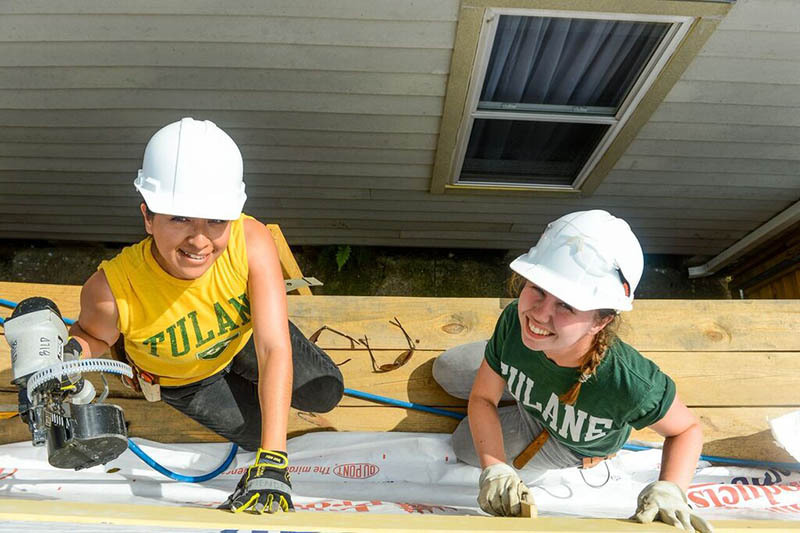 Our dedication to service is part of what makes Tulane such a unique place to study. Community engagement is ingrained in our curriculum, as all of our undergraduates do public service as a pre-requisite for graduation. Our students make a huge difference in the city through service learning opportunities that help spur job growth, support education initiatives, and help support strong and vibrant neighborhoods. Students also participate in Outreach Tulane, a large community service event with an average of about 1,000 participants each semester. Our roots in community outreach go deep. Founded in 1966, the Community Action Council of Tulane University Students, or CACTUS, is one of the oldest continually operating student-run volunteer groups in the nation. And Tulane's law school was the first in the nation to have a pro bono requirement. Community engagement isn't limited to students, either. Our faculty and staff spread out across the city in a Wave of Green every year, assisting non-profits, building homes, beautifying parks and neighborhoods and performing other acts of service. Tulane's community outreach makes a real difference in the lives of people in the city.